If you are planning to renovate your kitchen, it would be great to make it bespoke or customised based on your personal requirements. However, designing your own kitchen takes knowledge and skills. To guide you in the process, we are here to provide some tips on what you need to think about before successfully commissioning and designing your own bespoke kitchen. Create a list of things that you want for your kitchen. Jot down the appliances and fixtures you need and the kitchen cabinet design you require. If you love to cook, you might want to have a spacious counter top. Having lots of storage is also imperative to make your kitchen look desirable and clutter-free. Look at your kitchen area and determine if the actual space is enough or if it needs extending. If you want to create a multi-functional kitchen where you can cook and have dinner at the same time, you can knock down the walls between your kitchen and dining room and merge them into one. Talk with your kitchen designer about how you would want to manage your available area. Collect references from the internet or from pages of magazines. Focus on the designs that inspire you and take note of the surfaces, materials and accessories that catch your attention. This will make it easier for your kitchen designer to visualise your dream. Set a realistic budget. This will allow you to choose what you should invest in and where you may be able to save. For example, open shelves will cost you less than closed cabinets. The same goes for kitchen appliances. Remember to only purchase things you will use. 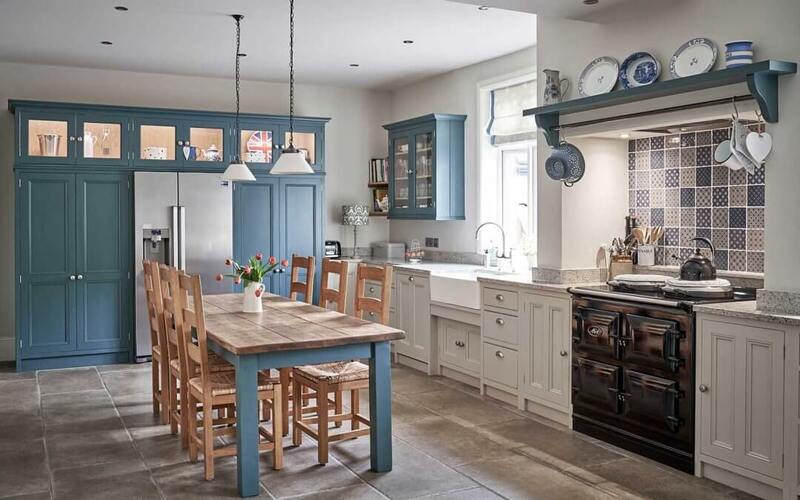 Hill Farm Furniture offers beautiful bespoke luxury kitchens and furniture for your home and lifestyle. We make sure to put our clients at the forefront of our service from initial consultation to the completion of the project. For any enquiries, call us on 01636 626 063 or email us at enquiries@hillfarmfurniture.co.uk.